The GS brings muscular refinement to the luxury sedan, with sculpted body lines and a low centre of gravity. The bold Lexus signature spindle grille is finished in satin chrome and paired with LED low beam and LED arrowhead daytime running lights. The L-shaped LED tail lamps create an eye-catching design as they recede into the distance. The GS features many luxury styling cues, including a power moon roof, electro-chromatic exterior mirrors with integrated signal lamps and puddle lamps, headlamp washers, and more. Inside, Lexus guests are welcomed to first-class comfort for up to five adults, including generous rear seat room. Craftsmanship greets the senses throughout: From the wood trim complemented by ambient LED interior lighting and the handcrafted contrast stitching on the leather seats, to the classic analogue clock set into the console, subtle hints of luxury abound. Drivers will appreciate the technologies and amenities that support and enhance their journeys – including a multi-function display, Bluetooth connectivity, a navigation system with Lexus Remote Touch haptic interface, outside temperature gauge, rain-sensing wipers, push button start, integrated garage door opener, front windshield de-icer and the auto-levelling headlamp system. 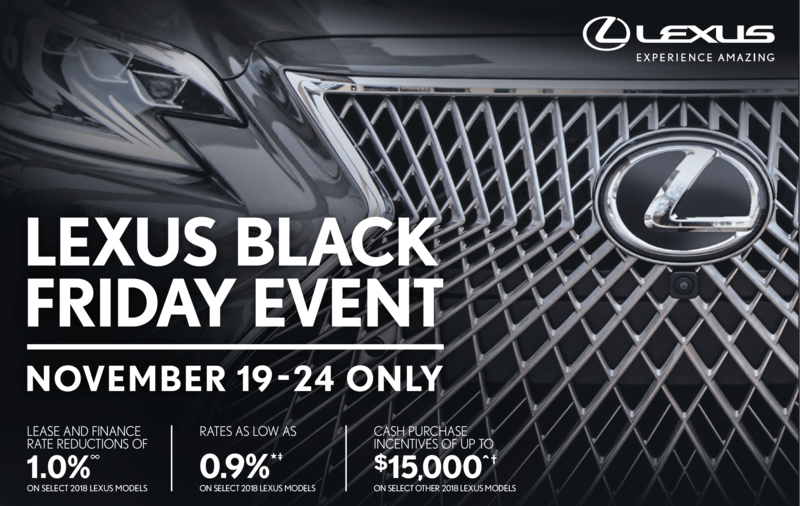 And because every great journey needs a great soundtrack, the GS 350 features a 12-speaker Lexus Premium Audio system with USB audio input, integrated Sirius XM Satellite Radio, and 12.3-inch display. 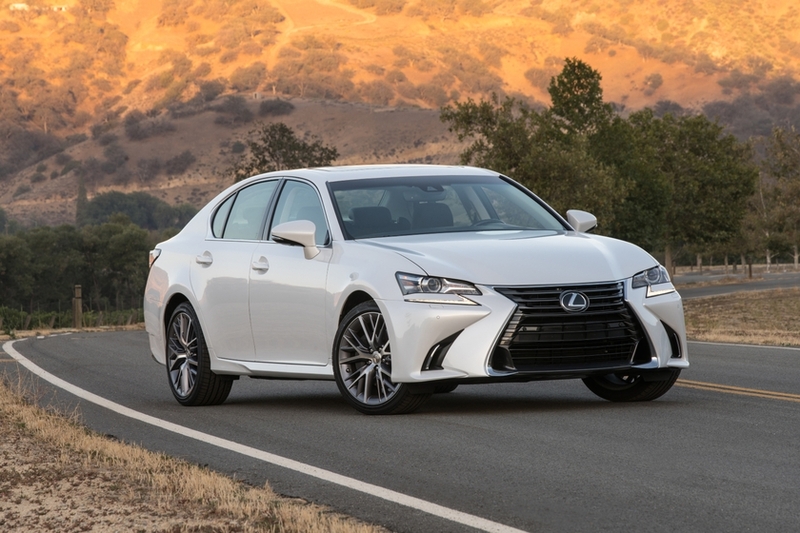 A stirring driving experience awaits, thanks to the GS 350’s 311 horsepower 3.5L V6. Fed by a combination of direct fuel injection and additional port fuel injectors, the GS enjoys crisp responsiveness and impressive acceleration. This is mated to a six-speed sequential shift automatic with steering wheel-mounted paddle shifters to put precise control at the driver’s fingertips. Recognizing that not every drive is the same, the GS is fitted with a three-step Drive Mode Select system – allowing the driver to match the vehicle’s performance to the moment. For added all-weather confidence, every 2019 GS 350 is equipped with advanced all-wheel-drive. Under normal conditions, this distributes 70 percent of power to the rear wheels. When wheel slippage is detected, the system automatically transfers up to 50 percent of available power to the front wheels. The result is a lightweight AWD system that delivers high levels of stability and drivability. The 2019 GS 350 also embodies the Lexus commitment to set new industry benchmarks for creating a safer world for all users of the road. 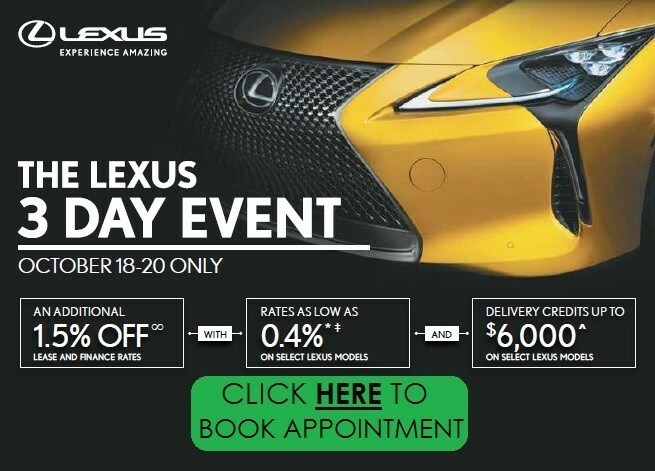 An impressive package is headlined by Lexus Safety System+ – a bundle of active safety technologies (pre-collision system with pedestrian detection, lane departure alert with lane keep assist, dynamic radar cruise control, and automatic high beam system) that is now standard equipment on 98% of all new models Lexus offers in Canada. LSS+ supports the driver’s awareness and decision-making under a variety of traffic conditions and contingencies. Other standard safety features include Vehicle Dynamics Integrated Management, the blind spot monitor and rear cross traffic alert safety systems, a backup camera, ten airbags, a direct tire pressure monitoring system with auto location, anti-theft system and more. There’s even an onboard first aid kit. 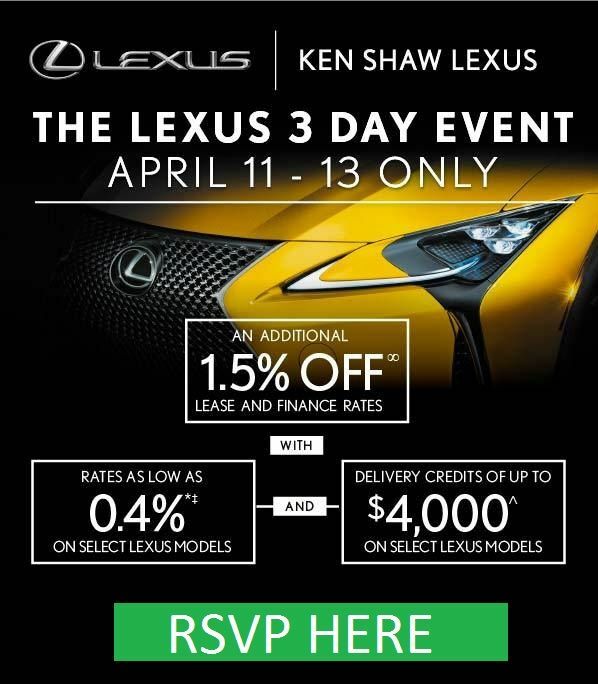 The 2019 Lexus GS 350 AWD EXECUTIVE PACKAGE (starting MSRP: $70,600) adds front and rear adaptive variable suspension systems, 19” alloy wheels, a head-up display, premium LED headlamps, a wood-grain and leather wrapped steering wheel, 18-way power adjustable front row seats with butterfly headrests, heated rear seats with climate controls, premium leather seating and more. For even more dynamic performance with styling to match, the 2019 Lexus GS 350 AWD F SPORT Series 2 (starting MSRP: $69,950) builds on the core model, adding front and rear adaptive variable suspension systems and a 16-way power adjustable driver’s seat plus numerous F SPORT exclusive details – including mesh front grille, steering wheel, alloy wheels, leather seating, rear spoiler, shift knob and scuff plates. The cabin is finished with aluminum dash accents, plus aluminum sport pedals with rubber inserts.